Found one file extension association related to QuickVerse Windows and 1 file format developed specifically for use with QuickVerse Windows. Developer / company: FindEx.com, Inc.
Bible scholars, pastors, teachers, group leaders, students, and new believers will all harness the power of computer Bible study and achieve instant results with QuickVerse! From Greek/Hebrew word study to simple daily reading plans — QuickVerse does it all! 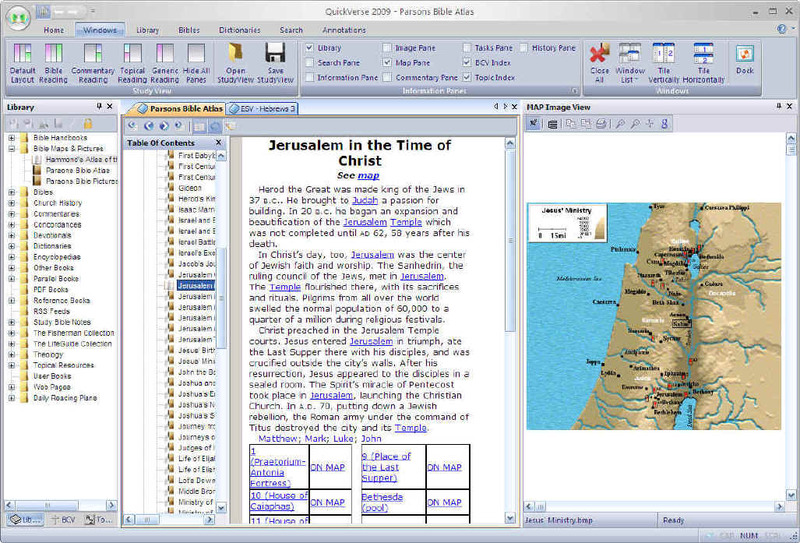 Pictures, maps, word pronunciations sophisticated searching, completely automatic multi-window text synchronization, detailed commentary covering every verse of the Bible, notes, bookmarks, highlights, word processor integration and more. The QuickVerse Windows software seems to be old or discontinued. If you need more information please contact the developers of QuickVerse Windows (FindEx.com, Inc.), or check out their product website.